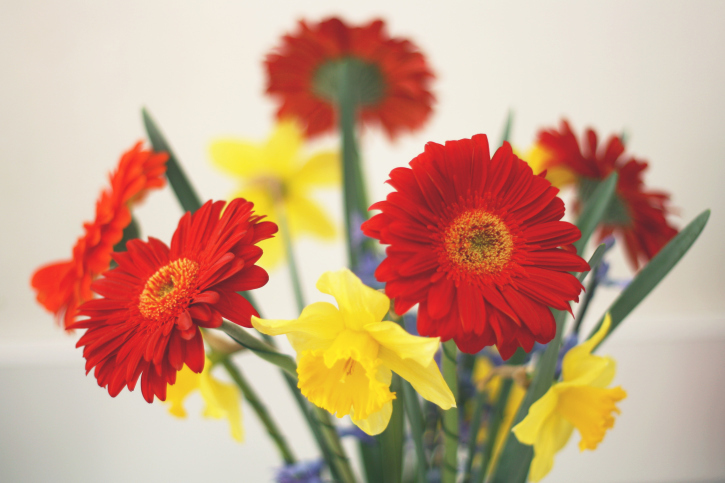 With spring quickly approaching, why not get your apartment ready? With spring right around the corner, you may be wondering how to shake off the winter blues. As the snow finally begins to melt, there are some ways you can brighten up your apartment. Let’s take a look at some of our favorite ideas of how to get your home ready for spring. From holiday gifts to clothes that don’t fit anymore, we all have those things buried in the back of our closets. Well, spring is the time to get rid of the old to make room for the new. So before revamping your Harborside Village Apartment for the spring, let’s talk about how to get rid of your old stuff. The first thing you should do is to sort it out. When sorting things, keep it to three piles; stuff to keep, stuff to get rid of, and stuff you aren’t sure about. Think about the last time you wore that sweater your great aunt gave you, did you like it? If not, toss into the “get rid of” pile. When was the last time you made juice in that bulky juicer? Never? Toss it. If you are guilt ridden about the useful stuff you are getting rid of, there are some options: you can sell it or donate it to charity so it doesn’t go to waste. Staring at the same pictures on your wall can be extremely boring, so why not change them? Change out your pictures to your favorite vacation photos, spring flowers, or beautiful landscape for a different view. These new views can brighten up your home and give you something else to look at while it is raining outside. Nothing says springtime quite like flowers. Decorate your apartment with colorful flowers. Plant flowers in planters or put fresh cut or silk flowers in vases to add color and an element of freshness to your apartment. If you choose silk flowers, buy an array and change them out every few weeks to change the colors. One of the benefits of having area rugs is the ability to change them out. Throw rugs are relatively inexpensive and can be found in a variety of colors and patterns to accent your home, so why not have a variety so you can change them out? Putting down a floral or a brightly colored rug with make your apartment feel fresher. Throw blankets and pillows are another accent you should be using in your home. Adding these accents to your home can also add a springy feel to the room. Spring is all about add color and an air of fresh and cleanliness to any room. Putting a fresh rug on the floor will not only add an element of coziness to the room, but will also add color and interest. You should also change out your heavy drapes for some light-weight curtains. This will give the room a new outlook and help bring light into the room. Adding color is the best way to make your apartment feel light and springy. So don’t miss out on a thing and bring spring inside your apartment! This entry was posted on Tuesday, February 16th, 2016	at 9:46 pm	. Both comments and pings are currently closed.